För dig som servar moderna TV, skärmar, projektorer mm. Eller bygger större system och behöver mäta upp dem. En HDMI mini analyserare för att kolla EDID, 3D mm mm. 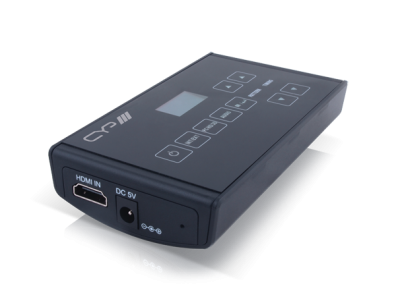 The XA-1 is the perfect analysis tool for AV installers and integrators. This device allows the user to analyse AV sources for resolution and EDID information whilst also providing pattern generation and test functions for identifying display capabilities. This small but advanced HDMI analyser also supports the analysis and pattern generation of 3D signals. This allows the user to check compatibility between sources and displays and provides a means of identifying system problems for troubleshooting.